Expand your practice. Increase your patient satisfaction. If you have patients that haven’t responded well to treatment or medications, or even those whom you have been unable to offer treatment in the past, sublingual immunotherapy may be the answer you’ve both been looking for. What is SLIT, and how is it prescribed? Sublingual immunotherapy (SLIT) is the application of FDA – approved antigens to the sublingual mucosa rather than injected as they are with traditional subcutaneous immunotherapy (SCIT). The same concentration of antigens and the same units of antigens per milliliter are used. Only the diluent is different. What is the mechanism of SLIT? How does this differ from SCIT? When the antigens are placed under the tongue, the dendritic cells take up the antigen, which migrates to the cervical lymph nodes, and effect the T-regulatory cells, which create a systemic immune response. This takes advantage of the mucosal immune system, which behaves differently from the humoral immune system. Research has found that by placing the drops under the tongue, the dendritic cells quickly take up antigens and go beneath the mucosal surface—where they cannot be washed away. Over the next 18 to 24 hours they begin signaling the T-regulatory cells. Do the antigens gain access to the systemic circulation as is possible with injections? Present data suggests that antigen remains within the mucosa tissues, and only minimally gains access to the systemic circulation but may be retained within the local sub mucosal lymphatic system as well as regional lymph nodes. What led to the use of this delivery system for antigens? The European allergists really began serious research and clinical use of SLIT over the last 15-18 years. In the 1980’s some deaths were linked to injections and immunotherapy was practically banned in Great Britain. If it were to be used, hospital supervision was required. Allergists were of course motivated to investigate a safer way to using immunotherapy. Although private physicians in the United States have used sublingual (SLIT) in clinical practice for over 25 years, Europe really led the way with serious research into the safety and efficacy of SLIT. Why were the Europeans able to obtain their results before the U.S.? The doses being used and reported in Europe were much higher and were very close to that of subcutaneous IT. Over the past decade over 100 studies have demonstrated that delivered in adequate doses, this is a viable form of antigen delivery. At this time SLIT is rapidly becoming more mainstream in the U.S.
How effective is SLIT and how do the safety studies compare with traditional IT? In most reported research studies, the efficacy of SLIT appears to be equal to subcutaneous immunotherapy (SCIT). A recent Cochrane meta-analysis demonstrated efficacy in control of rhinnitis symptoms. The huge difference is in the safety profile. SLIT seems to be much safer than subcutaneous IT. Another placebo- controlled, double-blind, double-dummy trial compared the efficacy and safety of injection IT with sublingual IT using birch pollen antigen. Both therapies were superior over placebo and there was no difference statistically between SCIT and SLIT in terms of efficacy. However, safety was markedly better with sublingual. This is the best-designed study among many that we have. Are the same antigens used for SLIT and SCIT? Yes, not only do you have the same variety but you can treat patients with a larger number of antigens using drops (SLIT) compared to injections. With individual injections, there are limits to what can normally be mixed together. Mold antigens are usually kept separate from the animal or pollen antigens. Some physicians may keep dust separate from the animal antigen. There is really a limit to how many injections the patients will tolerate. This method attempts to limit the number of adverse reactions. However since we have no reactions with SLIT, we can treat with many more antigens in the same vial, usually up to 15 in our practice. Does SLIT require much training? This method is being taught in resident programs as mandated by the ACFME. As one of the tools in management of the allergic patient it is best incorporated into the practice after learning the specifics of SLIT. The American Academy of Otolaryngic Allergy has teaching courses and has developed a protocol. The knowledge needed is similar to that used in subcutaneous injections with the addition of the protocol for mixing the treatment vials for each patient. How does the present off-label status affect the use of SLIT? Actually, many medical treatments have traditionally been used off-label. For example, chronic rhinosinusitis presently has no FDA approved medical therapies available to physicians. The physician must resort to the “off-label” use of a variety of medications such as antibiotics, antifungals and corticosteroids. All of these medications have been approved for other uses by the FDA. Similarly with SLIT, this is an off-label use of an already FDA- approved treatment. Because the antigens in SLIT were originally approved for injection by the FDA we call it off-label. Should that limit the physician from offering SLIT to patients who need relief? Absolutely not. Over twenty percent of the drugs that are prescribed in the United States today are off-label FDA drugs. Treating young children in your practice may be the most rewarding reason to incorporate SLIT. 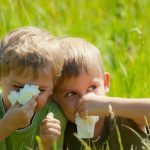 Allergy drops have proven especially helpful for children with eczema and recurrent ear infections, which often have underlying allergic causes. Many children with untreated eczema and allergies develop asthma and other chronic conditions later in life, so treating them early can have life-long benefits. 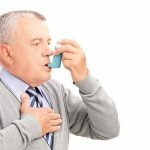 For asthmatics, SLIT can provide desensitization for triggers, which can moderate the need for asthma medication. And because of its safety profile, even severe asthmatics can reduce their symptoms. In at least eight studies, positive outcomes were reported when SLIT was used to treat asthma. 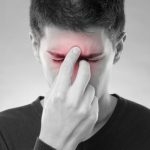 Recent research has validated the long-standing view that chronic sinus conditions, mold sensitivities and allergies are connected. Treating the underlying allergic disease with SLIT has shown favorable results in patients with chronic sinus conditions.